Porthkerry Country Park covers an area of 220 acres and is a popular recreational destination. While a lot of work has been carried out to tell the story of the park’s biodiversity, many of its historic stories and features are largely unknown. We were asked to develop innovative interpretation to reflect the special geological, ecological, archaeological and historical qualities of the area. 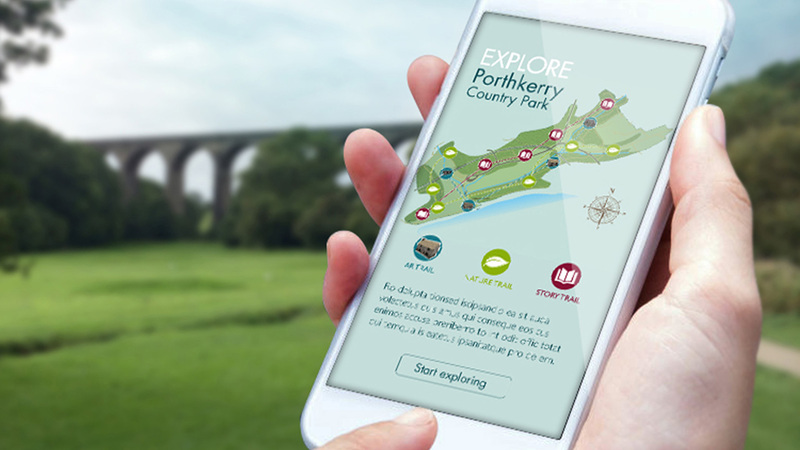 We created a GPS triggered, bilingual trail App that incorporated augmented reality (AR) to bring the historical features of the park to life, and allowed visitors to discover the varied fauna, flora and mythical stories of the area, together with two visitor centre apps to play oral history recordings and allow less mobile visitors to explore the park’s less accessible features. With AR we recreated a Victorian sawmill, medieval corn mill and witch’s cottage on the landscape, allowing visitors to see them rise from their ruins through the camera on their mobile device. We also brought to life two animated characters from the past to tell their stories. 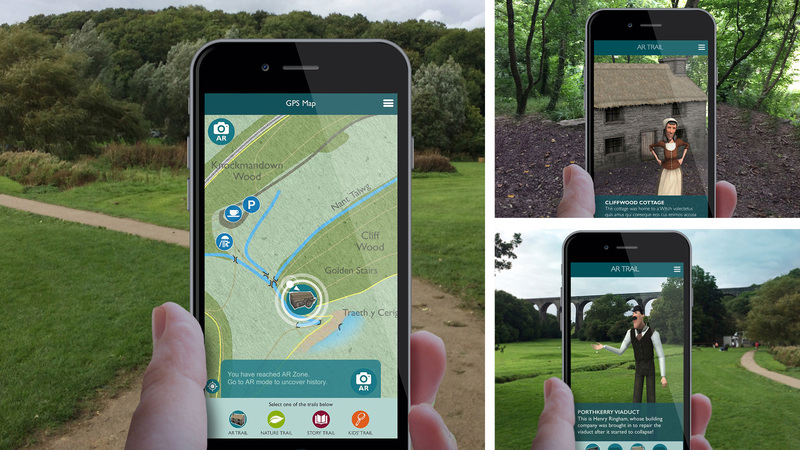 A GPS in-app map allowed visitors to navigate around the park and alerted visitors when they had arrived at an AR, nature or story ‘zone’. The nature and story trails triggered content when visitors entered specific areas of the park, to allow them to experience the exact spot where an event happened or where a species typically lies.